Smith and Nephew Iodoflex Cadexomer Iodine Dressing Pads from HealthyKin.com are sterile formulations of Cadexomer Iodine. When applied to the wound, they absorb fluids, removing exudate, pus and debris and forming a gel over the wound surface. As they absorb, iodine is released, killing bacteria and changing color. A 3-in-1 mode of action kills bacteria, manages exudate, and debrides the wound bed. 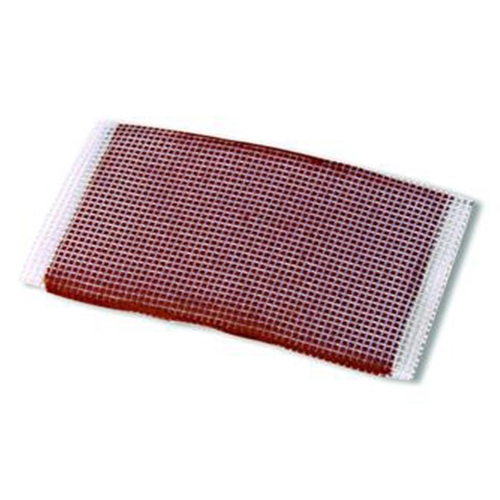 Non-adhesive which can reduce trauma at dressing changes and encourage patient compliance. Great product for serious wounds. Can burn a bit but it has helped tremendously. LOVE UPS delivery...fast and never lost. Healthykin.com is a company I can depend on when I need medical supplies fast and reasonably priced (they have most companies price beat by a mile...even ebay.com). The best dressing to kill biofilms and reduce bio-burden to kick start stalled wounds. Used on stalled diabetic foot ulcers with amazing results. Great price and fast delivery. Expensive but effective method of healing wounds that are not affected by other medicines. Delivery of product was very fast, and much quicker than expected. quick delivery, reasonable price, and great product.